Horses that balk usually refuse to move forward. Many school horses and kid’s ponies seem to have this frustrating behavior down to a fine art. The usual response by an inexperienced rider is to drum their heels on their horse's sides while pulling back and forth on the reins, frantically trying to get the pony to move forward. Many horses learn to completely ignore this. It only takes some assertive seat and leg aids to send a horse down the trail, over a jump or past an object they think they are afraid of. Effective ​aids will work better than fussing and flapping, even though you probably feel quite frustrated when your horse balks. What you call it depends on what part of the world you're in. Horses balk for many reasons. Some may be nervous about certain situations and rather than spook and try to flee, they freeze. These horses lack confidence and need to be ridden by a rider that can they trust. A horse may balk because they are feeling physical pain. Ponies especially often wear ill-fitting saddles or perhaps are foundered – a condition that will cause hoof pain. Poor saddle fit, teeth issues, vision problems, hoof pain and chiropractic issues may cause a horse to balk or spook. A horse may balk because you are giving it conflicting aids—pulling on the reins inappropriately while urging it on with your leg aids. Some horses, usually school horses, are bored by their work and use balking as a way to ignore the rider. 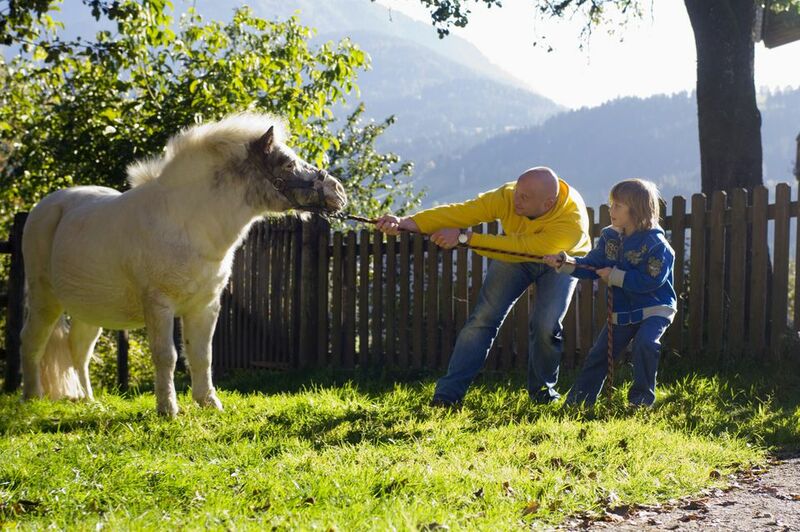 Most ponies are very clever, so once they learn they do not have to obey a young child, balking becomes their go-to response. Most horses don't balk because they are lazy. In many cases, it actually takes more energy to balk than to be obedient. Some people suggest backing up a balking horse up, but this may be a mistake, especially with a horse that may be inclined to rear. Simply pushing them forward is sometimes counterproductive. Unless your horse is very obedient, it may only resist more assertively. Some horses will respond to a tap on the haunches with a crop or whip, but you need to time your aid well and be consistent. This can be difficult for a beginner who may not know when to apply both natural and artificial aids at the same time. One exercise that is useful for dealing with a balking horse is the team method that includes the “Dingo” cue. By teaching the horse to respond to the touch of a wand (whip) on its haunches when in hand, the cue can then be used in the saddle. It's more fun to be in the saddle, but working on problems on the ground can often be the shorter road. Another way to work through a balk is to busy the horse's mind with something else. If your horse doesn't go forward, you can turn it in a small circle, asking it to obey with your rein, seat and leg aids. The idea is not to spin the horse so it becomes disoriented, but to take its mind off of balking. Alternatively, if your horse and you understand how to do a leg yield, a half or full pass, you may 'practice' these for a few moments to distract the horse. During these exercises, you need to stay relaxed and confident, remembering to breathe and look where you want to go, not at the horse. If a horse is balking because it is ring sour, that is, it is bored with being ridden around a ring, doing something else like trail riding or driving may give it a new attitude towards its work. Breaking the habit of balking can take time. Just like the process of de-spooking your horse, you may need the help of a coach or instructor who will help you learn the appropriate aids and timing. If your horse seems inclined to balk and rear, it's time to get professional help. Rearing is a dangerous habit, that can cause injury to both horse and rider.